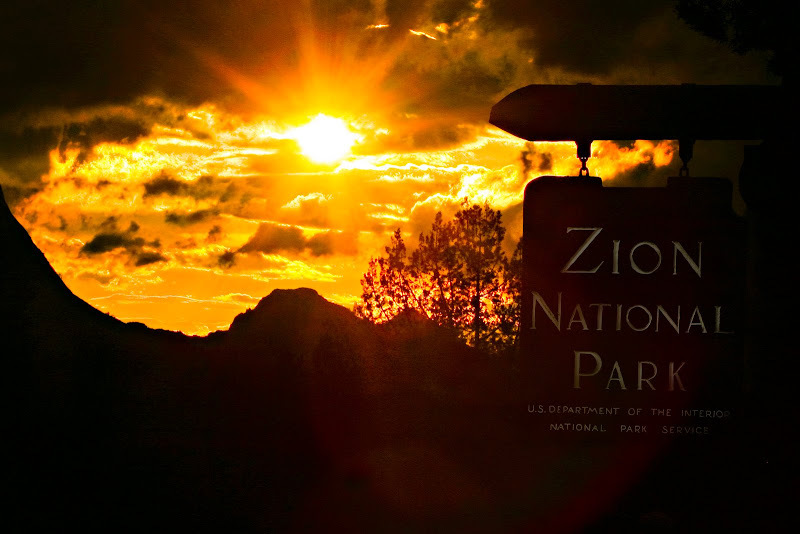 The sign which marks the entrance to Zion National Park in East Zion is a favorite of tourists. It's impossible to drive by it without seeing someone taking a picture of loved ones in front of this sign. In some respects, it's strange that people would prefer to take pictures of themselves in front of a sign advertising Zion, instead of the beautiful park itself. But as the sun was setting after another rainy day, I too was drawn to the Zion sign.